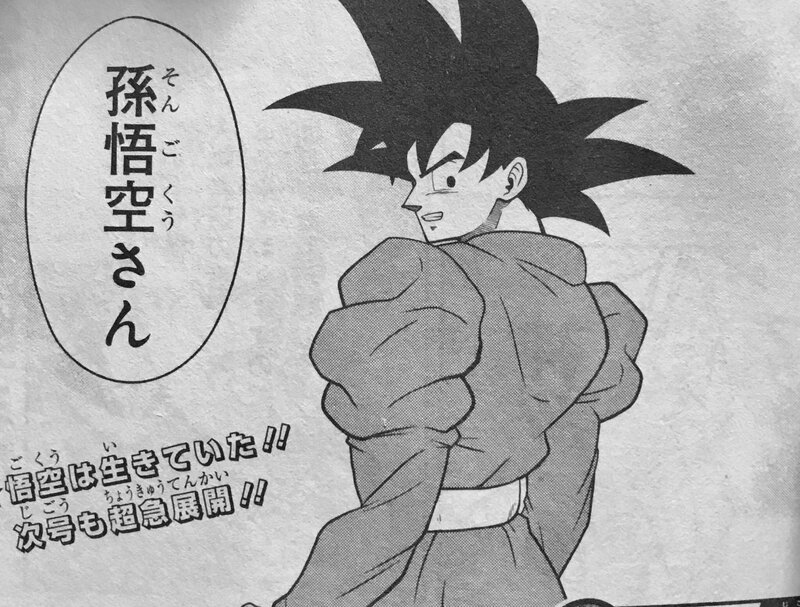 Now, this is the last panel where we finally see Goku in the same uniform the Angels and the Grand Priest wears. Goku is really good and sharp. It seems like he ha regained his strength and did some training. He’s now ready to defeat the villains once and for all. I just can’t imagine why did Grand Priest help Goku and what all things did he teach him!? The text bubble simply says, “Son Goku?” in continuation with the last panel. This Universal War arc is going to be really interesting! 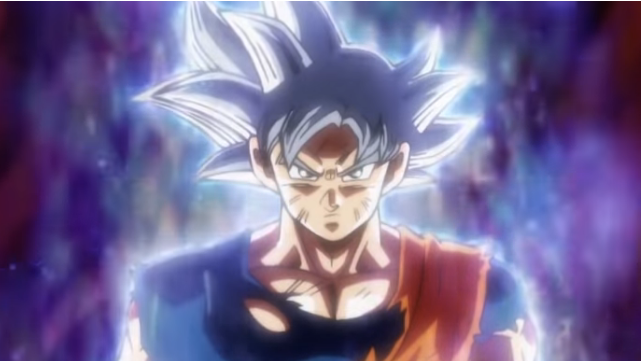 The remaining text translates to – “Goku is alive!! More exciting developments next issue! !” I think they are going to do the same in Super Dragon Ball Heroes episode 8. They will show Vegeta and Trunks fight the new villains, then, in the end, they will show Goku is alive and then the episode ends. Then, we will again wonder what’s gonna happen next! It’s really frustrating, right?